In 1941, Richard Evan Schultes, often referred to as the father of ethnobotany, took a leave of absence from Harvard University and disappeared into the Colombian Amazon. Twelve years later he resurfaced having travelled to places no outsider had ever visited, mapped uncharted rivers, and lived among two dozen Amazonian tribes. Simultaneously, he conducted secret research missions for the U.S. government and collected some 30,000 botanical specimens, including 2,000 novel medicinal plants and 300 species new to science. The greatest Amazonian botanical explorer of the 20th century, Schultes was a living link to the naturalists of the Victorian era and a world authority on toxic, medicinal, and hallucinogenic plants. 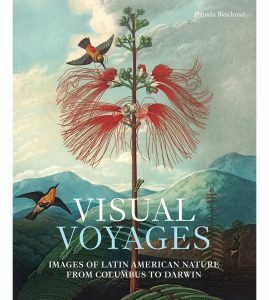 Over the course of his time in the Amazonian basin, Schultes took over 10,000 images of plants, landscapes, and the indigenous peoples with whom he lived. 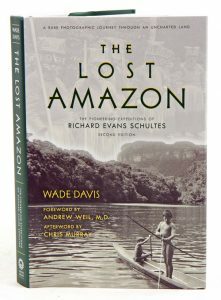 Originally published in 2004, “The Lost Amazon” was the first major publication to examine the work of Dr. Schultes as seen through his photographs and field notes. With text by Schultes’s protégé and fellow explorer Wade Davis, this impressive document takes armchair travellers where they have never gone before. 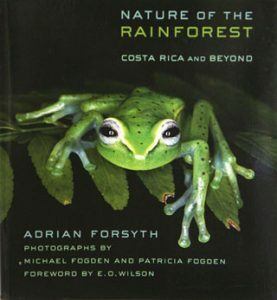 Adrian Forsyth draws on four decades of personal encounters with the animals of the rainforests, including Poison-dart frogs, Three-toed sloths, Bushmasters, and Umbrellabirds, as a starting point to communicate key ecological topics such as biodiversity, coevolution, rarity, chemical defense, nutrient cycling, and camouflage. The stunning colour photographs include the now extinct Golden toad mating, a Jaguar on the prowl, and the Hermit hummingbird feeding. The behaviours and characteristics of the rainforest inhabitants featured here not only illustrate the text but also advance the scientific narrative and exemplify the critical importance of conservation. Thematic chapters are interspersed with four chapters devoted to specific habitats and regions of Costa Rica and Peru, areas with some of the most diverse arrays of plant and animal species in the world. The result is an exuberant celebration of the rainforest in text and images. 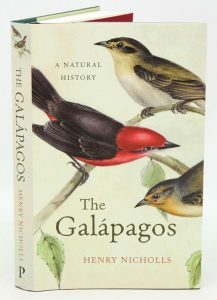 The Galapagos: a natural history. The Galapagos were once known to the sailors and pirates who encountered them as Las Encantadas: the enchanted islands, home to marvellous creatures and dramatic volcanic scenery. This captivating history of the world’s most famous islands charts their evolution from deserted wilderness to profoundly important scientific resource and now global tourist destination. The Galapagos’ rich diversity of species made it the cradle of evolutionary theory. Its scientific treasures have always been explored in surprising ways: Darwin rode on the back of tortoises, flung iguanas into the sea and attacked hawks with hats in the process of his discovery. And its lessons are far from exhausted: recently, Darwin’s celebrated finches have helped biologists to film evolution in real time. The islands are famous throughout the world – recognition that brings with it 170,000 tourists a year and widespread development, as well as bitter clashes between environmentalists and local inhabitants. More than ever, we must be alert to the significance of this unique location – because what happens here foreshadows the fate of threatened ecosystems everywhere on earth. Artist/Author: Poncet, Sally and Kim Crosbie. This illustrated guide is specifically tailored to the needs of visitors to this remote and captivating part of the world, and it is an ideal book for armchair naturalists. Featuring hundreds of colour photographs of the diverse wildlife and breathtaking scenery to be found at this unique tourist destination. 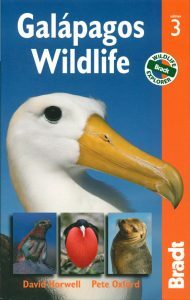 It includes extensive and up-to-date coverage of all wildlife groups – from albatrosses and petrels to seals and penguins – as well as colour maps and detailed information for the 23 key visitor sites. This stunning photographic guide describes the history, geology, and culture of South Georgia. It also provides a checklist of all fauna and flora as well as valuable tips for visitors to the islands, and the book’s wire bound format enables it to fold out flat for easy use in a water-protective holder. Artist/Author: Burton, Robert and John Croxall. South Georgia is rich in wildlife and spectacular scenery, and it is a prime destination spot on most Antarctic tours. This beautifully illustrated field guide depicts the birds, mammals, insects, flowering plants, and other vegetation found in this unique part of the world. It features 368 full-colour photographs of more than 180 species, including 65 species of birds, 20 species of sea mammals, nearly 60 species of insects, and more than 40 species of flowering and nonflowering plants. Detailed species accounts describe key identification features, with information on status, behaviour, threats, and distribution. 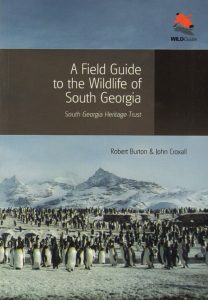 This one-of-a-kind photographic guide also includes introductory chapters on South Georgia’s geography, climate, ecology, and conservation. This title features 368 photographs of more than 180 species. It covers birds, sea mammals, insects, and plants. It provides detailed species accounts. It includes chapters on geography, climate, ecology, and conservation. 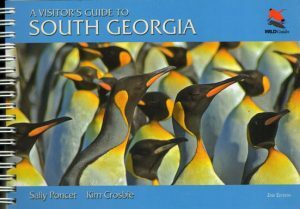 This is the only photographic field guide to focus specifically on South Georgia. Artist/Author: Reid, Fiona A. et al. 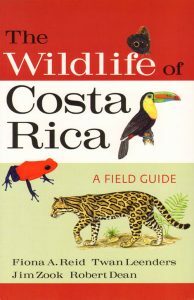 An indispensable companion for visitors to the beautiful natural areas of Costa Rica. This full-colour field guide features all the mammals, birds, reptiles, amphibians and arthropods that one is likely to see in Costa Rica’s rainforests, cloud forests, plains and coasts. Providing the best introduction to the country’s amazing diversity of wildlife, this lightweight guide includes details for identifying animals as well as a wealth of natural history information. It is the first general field guide to this deservedly popular neotropical tourist destination. Galapagos wildlife: a visitor’s guide. Artist/Author: Oxford, Pete and David Horwell. Travelling to the Galapagos to discover the unique flora and fauna that so captivated Darwin and the many that followed him is a rite of passage for serious wildlife enthusiasts. Written by two expert naturalists who are passionate about the Galapagos, this guide is packed with entertaining descriptions, while full-colour photography aids in identifying key species both on land and below water. Now with more detailed descriptions of island landing sites, more photos, and updated information on conservation efforts, this guide is the perfect companion for this once-in-a-lifetime trip. For those looking to explore, it also includes unique island trail plans. Armed with rudimentary Spanish, dangerous levels of curiosity and a record of poor judgement, Allison set off to tackle whatever South America could throw at him. Getting involved with conservation projects as well as seeking out the wildest and rarest wildlife experiences on offer, Allison’s new adventure is far from the African safari experiences he wrote of in his previous book. 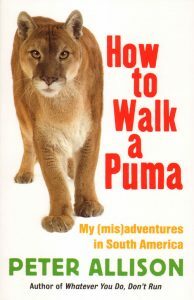 Getting up close and personal with a puma in Bolivia, to searching for elusive jaguars in Brazil and hunting naked with the remote Huaorani people in Ecuador, this is a fascinating and often hilarious account of misadventures in South America. 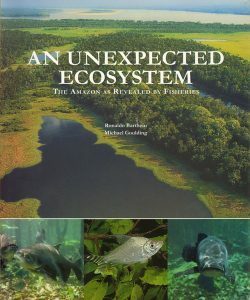 An unexpected ecosystem: the Amazon as revealed by fisheries. Artist/Author: Barthem, Ronaldo and Michael Goulding. The Amazon has the richest freshwater fish fauna in the world, and its evolution is closely linked to the rainforest and the vast floating meadows of the floodplains. Fisheries illustrate the urgent need to look at the Amazon rainforest and its rivers as an ecosystem in view of current environmental changes. Proper management of the fisheries requires protecting flooded forests, floating meadows, headwater spawning areas, and other critical habitats. With over 200 color photos and illustrations, this book richly illustrates how the fishes and fisheries are part of the river-and-rainforest ecosystem and what needs to be done for their conservation. Pantanal wildlife: a visitor’s guide to Brazil’s great wetland. Bradt’s fully illustrated wildlife guides focus on regions of the world particularly celebrated for their amazing and often unique species. With spectacular photography or exclusive watercolour drawings throughout, each visitors’ guide provides an introduction to the region’s principal flora and fauna alongside suggested wildlife itineraries, practical information on when to go and what to take and photography tips. Written in a deliberately engaging way, they offer something different from dry field guides, and will appeal to the interested layman as much as the wildlife devotee. Ideal as a lightweight companion to any wildlife trip they also make a handsome souvenir. The Pantanal of Brazil, Bolivia and Paraguay is South America’s Serengeti: its wetlands are the largest on earth (they’re half the size of France) and, in the dry season, crocodiles and storks jostle to gobble the last of the dying fish. Here, the continent’s largest cat, the jaguar, lives alongside giant otters, anacondas and the world’s largest parrot. 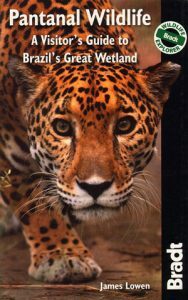 A comprehensive introduction to the best place to watch wildlife in South America, and beautifully illustrated throughout, Bradt’s “Pantanal Wildlife” is the only portable book to cover all the main wildlife groups while focusing exclusively on the Pantanal. Based in Argentina, James Lowen is a wildlife writer, editor, photographer and lecturer. He is editor of the only magazine to focus on birdwatching in Latin America. 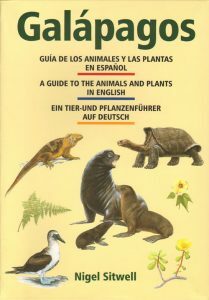 This is an illustrated field guide to the most commonly seen wildlife on the Galapagos Islands, in three languages. It includes birds, mammals, reptiles, and plants. Brief descriptions and distribution information for each species accompany the detailed colour illustrations. Text is in English, German and Spanish.